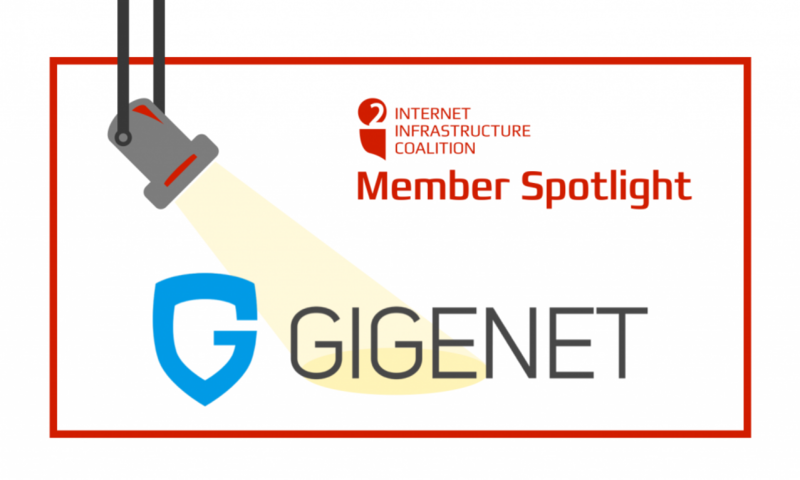 The following is a guest blog post from David Dunlap, VP of Sales and Marketing for new i2Coalition member GigeNET. The year was 1997 and GigeNET started out as a single server, located in a small room in an office building in Chicago, sharing a T1 line with other offices. In the span of a few months, GigeNET outgrew that office space and built its first data center. As the years went by innovation revolved around addressing the evolving needs of current and future customers. All features and products were customer driven. As customers found new challenges we developed solutions, often designed from scratch, to address them. That forms the DNA of GigeNET. Our customers come first in all things. We have focused every department in making sure every customer knows they are our priority. We’ve provided clients with marketing and business advice, soundboards for developing ideas, DevOps help for fine tuning environments, and we create new products that address our customers’ business goals. Customers can find great servers with many IaaS providers. I know of several offhand that I would not hesitate to recommend even today. At GigeNET you will also find a team of people who will help you grow your business in any capacity we can. This is why the average customer has been with us for more than 7 years and honestly, that number, that average, keeps going up, every month and every year. When you have less than 1% churn rate, like we do, some would say that is the pinnacle of achievement. But we are always looking to go further and do more for our customer. That mindset is why we’ve decided to join the i2Coalition. The i2Coalition is an assemblage of some of the industry’s best minds. They work to provide a means for common sense to reign with both policy-makers and with other tech companies. At the risk of sounding like a marketer, we didn’t join just to be with like-minded businesses, we wanted to do more for our customers. We wanted to amplify their voice as the lifeblood of this industry and represent their interests on the national and global scales. Our customers depend on not only us but this industry. We are looking forward to adding our, and our customers’, voice to those protecting this industry. As a company, GigeNET will be joining the i2Coalition’s work in net neutrality, data privacy, gender diversity and equity, public policy, and consumer education. 2018 will be a critical year in the history of the Internet. We’re proud to be at the forefront of that with the i2Coalition.